Y:Cube a ‘superb project’ and could be solution to UK housing crisis, says Housing Minister. 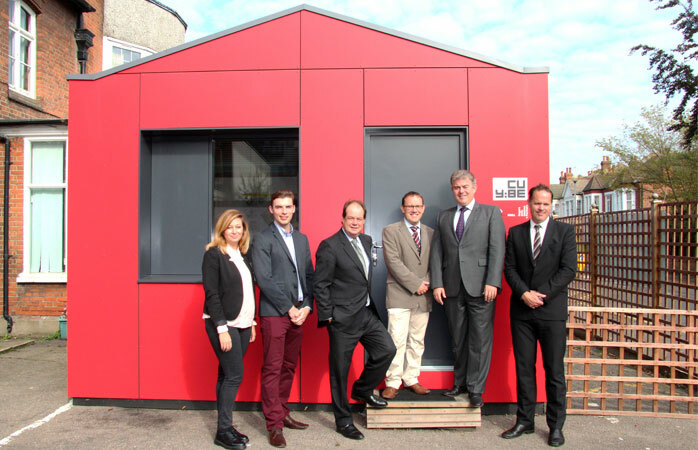 Brandon Lewis, Minister of State for Housing and Planning, visited the Y:Cube prototype outside YMCA Wimbledon on Thursday 2nd October. Construction of the first Y:Cube Housing scheme in the UK will start in November, providing 36 homes for local people in housing need. The scheme will be built on a brownfield site on the corner of Woodstock Way and Clay Avenue in Mitcham in the London Borough of Merton. As reported in Inside Housing last month, the Housing Minster, in a speech to the National Housing Federation’s annual conference in Birmingham on 17th September, urged housing associations to consider using off-site construction methods. ‘I want the whole housing industry to consider how they can use innovative construction. Off-site construction not only creates high quality affordable homes but it also delivers them quickly and that could be an important part of the challenge of delivering more homes. Y:Cube Housing, using a modular ‘plug and play’ design system by world renowned architects Rogers Stirk Harbour and Partners, is an example of high quality factory built accommodation which is constructed faster, and crucially cheaper, than using traditional methods of construction.